Aside from the fact that you can’t just go to the store and pick up a nice adult-sized hoop, these hoops are made by a real person, not a giant corporation. 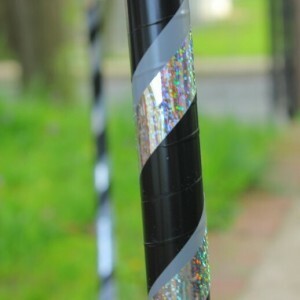 I’m happy to customize a hoop for anyone. And I enjoy spreading the hoop love wherever I go! I met my husband on match.com. My second toe is wayyyyy longer than my big toe. Crafting is in my blood. My grandmother was an accomplished seamstress and she bought me my first sewing machine when I was about 4 years old. She taught me how to crochet before I could even write my name. My mom makes the most amazing quilts. My father used to build houses and is a talented artist. As a kid I kept busy with beading kits, yarn and a crochet hook. I was also enrolled in gymnastics and ballet classes for most of my life. I always owned a hula hoop. Always. 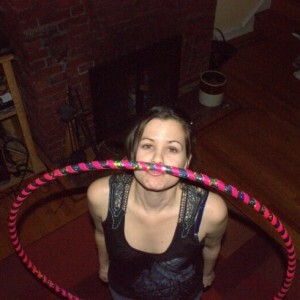 When I "grew up", I found that the flimsy toy hula hoops for children just wouldn't cut it. So I made my own adult-sized hoops for my hoop classes and meet ups. I actually got certified to teach hoop dance classes (it's real, google it!). I love bright colors. All I have to do is take a walk outside and there are gorgeous flowers, the sky, grass, etc. In short, nature. 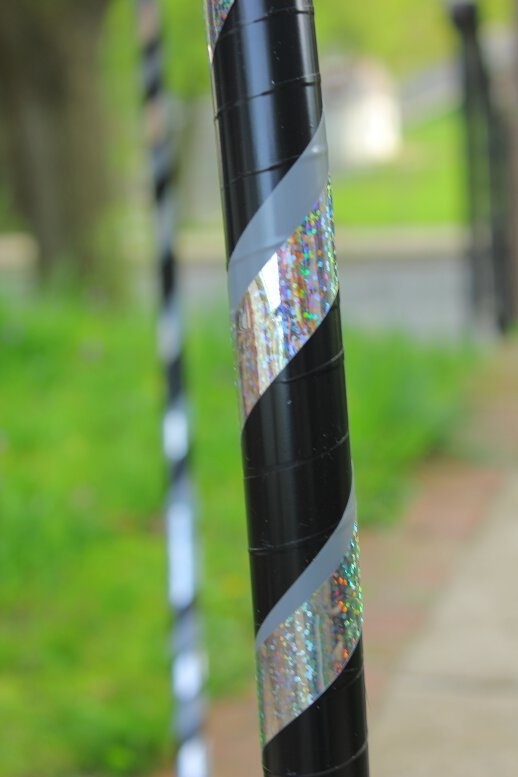 I recently made a collapsible hula hoop. It folds into a figure 8, then folds in half for easy travel. I simply HAD to have a hula hoop with me on vacation. I sell my hoops from my website, at craft fairs, at my hoop meet ups, and just walking down the street. I almost always have a hoop with me and someone almost always wants one. Now I love making hoops. It makes me so happy when I see someone hooping with my hoops, especially people that could never keep the hoop going as a child. It's all about the size of the hoop. The bigger the hoop, the easier it is to hoop with. It's an amazing workout. I make hoops in all sizes, all colors. 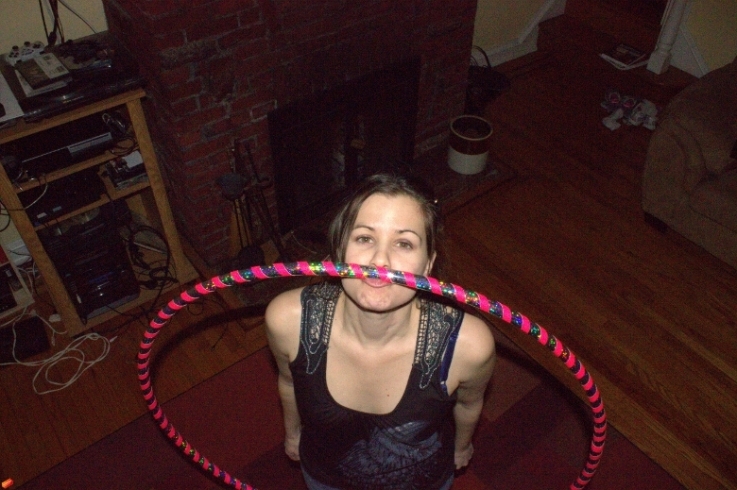 I want hooping to be accessible to everyone. That's why I offer plus size and maternity hoops as well. Maternity hoops are lighter and springier than my typical adult hoops.